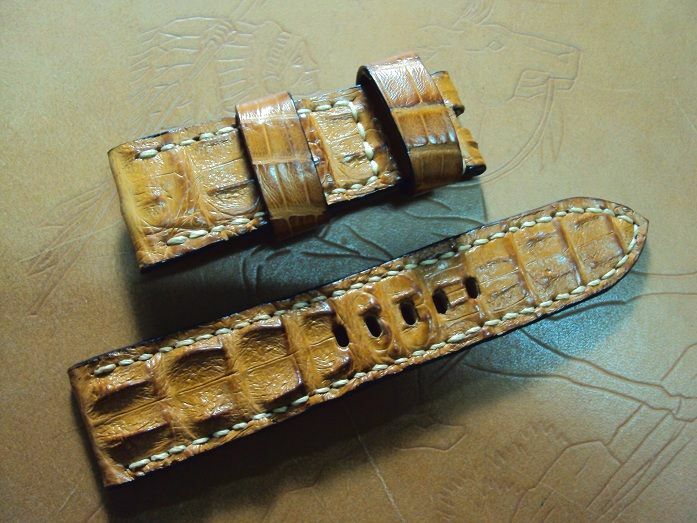 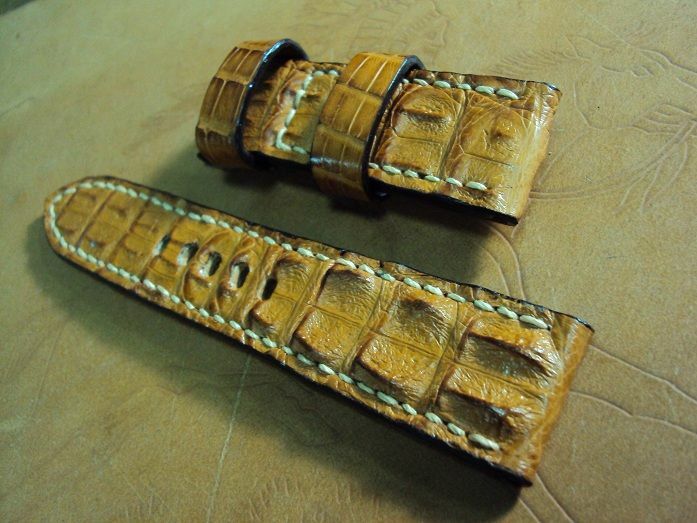 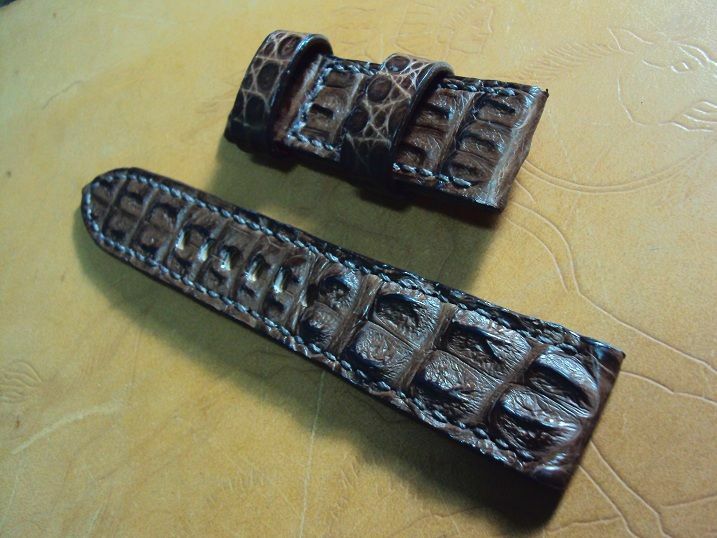 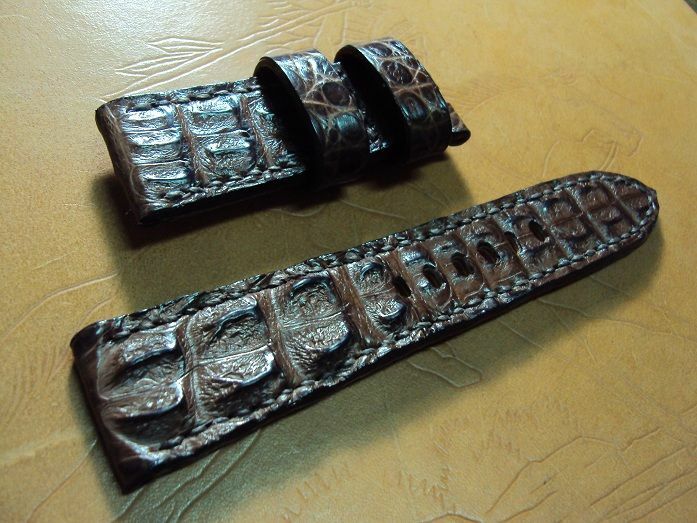 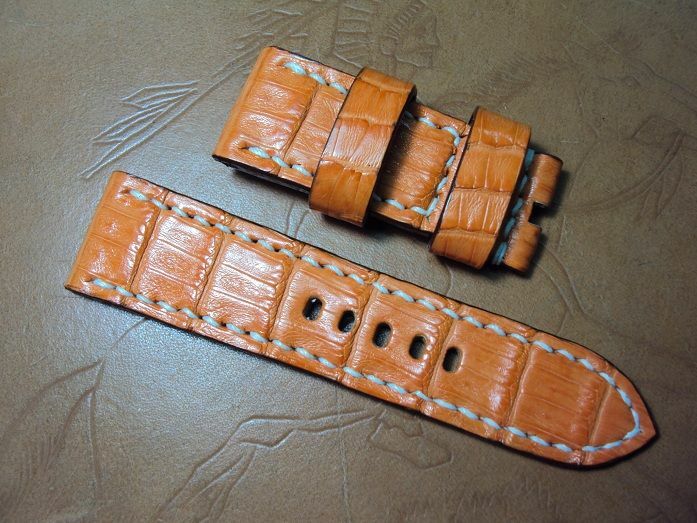 Here are some Panerai custom leather straps A2185~A2194 include orange,grayish green & three big horn crocodile straps, vintage cowskin & crazy horse straps which have sold by way of some custom strap orders. 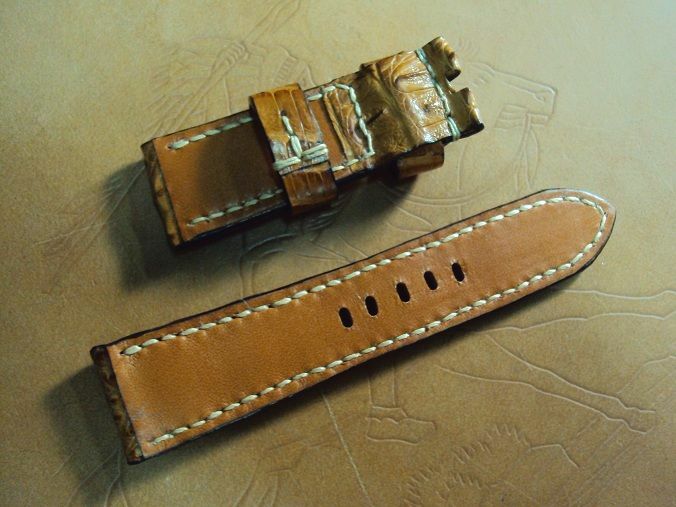 A2185 Panerai chocolate brown crazy horse leather strap, 25x22mm, 70x130mm, thick 6.0mm taper to 5.0mm, chocolate brown crazy horse leather strap, white stitch. 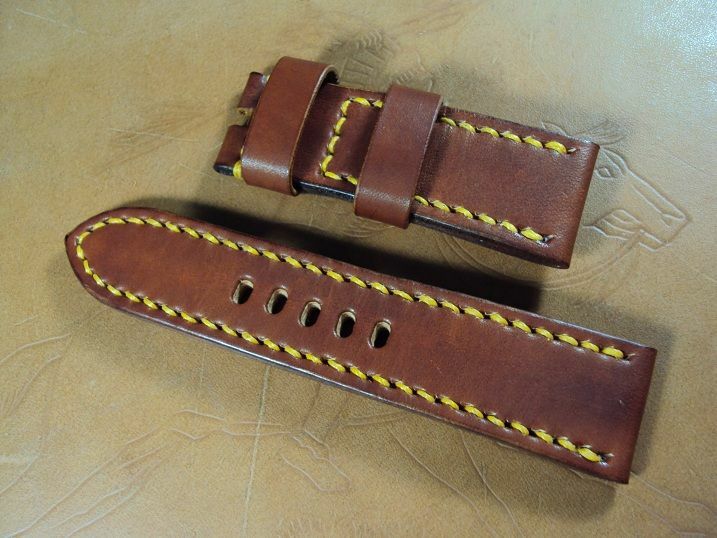 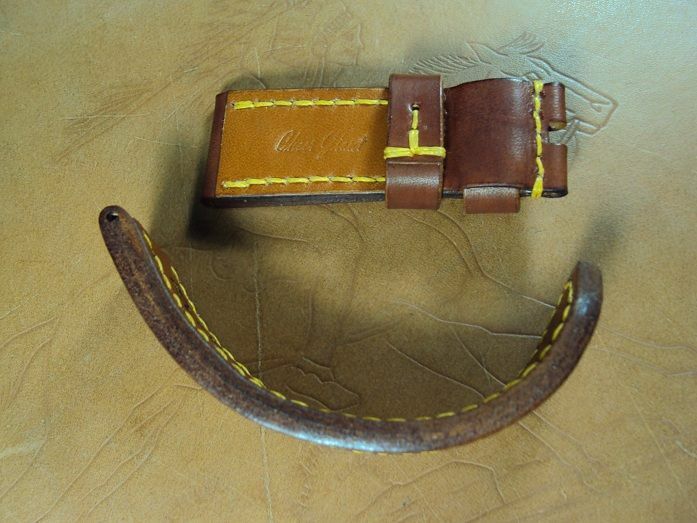 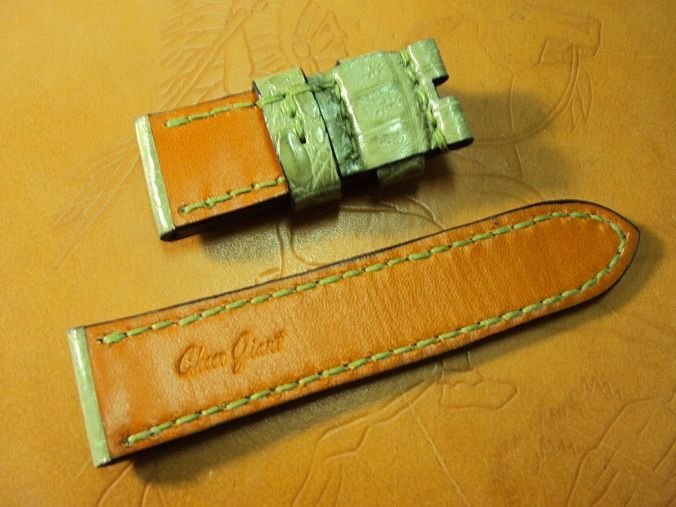 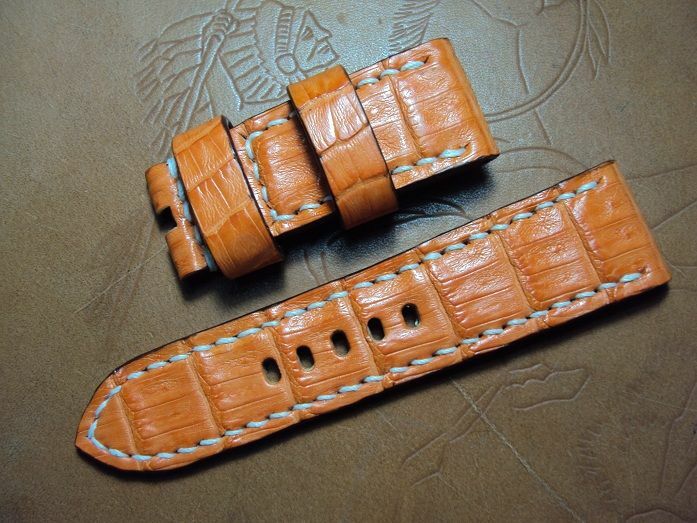 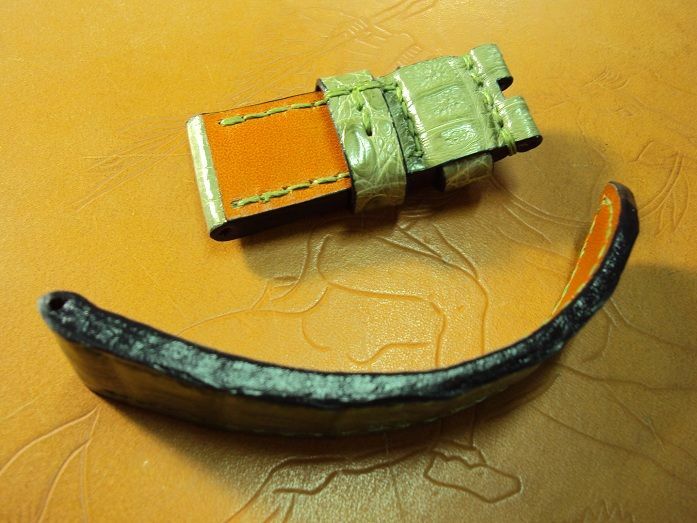 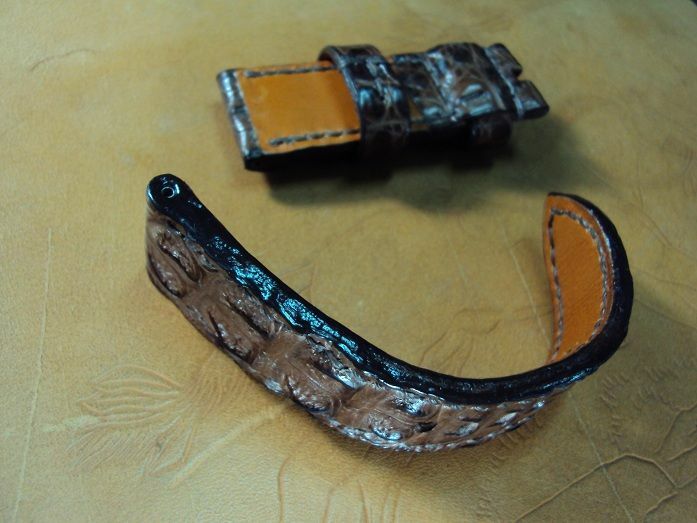 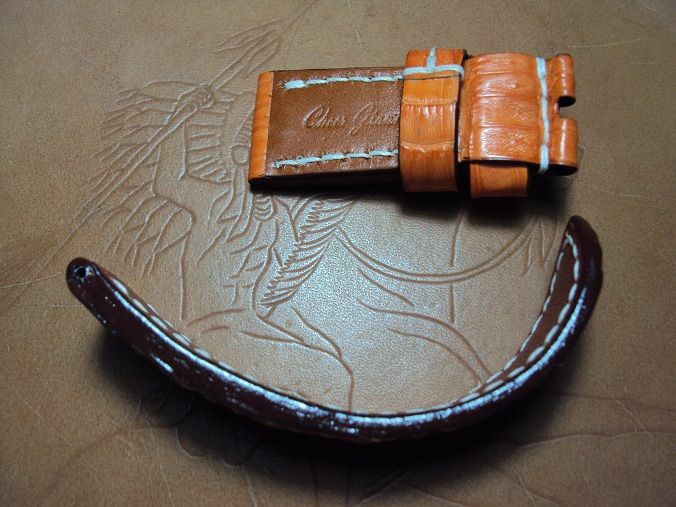 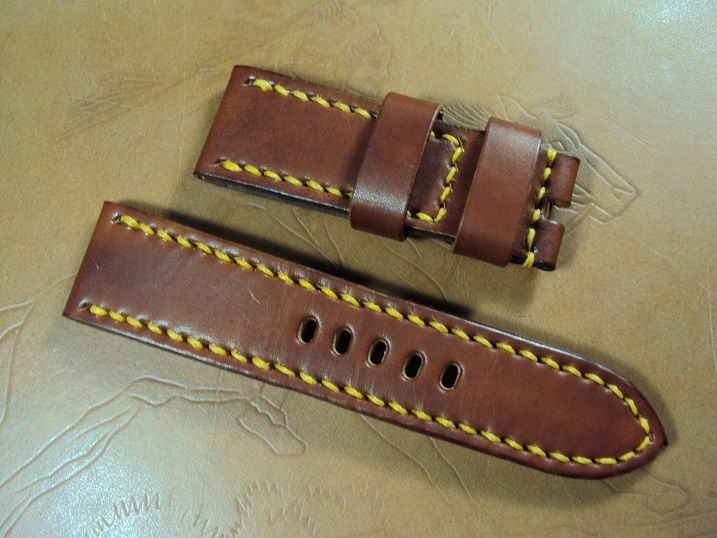 A2186 Panerai orange crocodile strap, 24x22mm, 60x110mm, thick 5.5mm taper to 3.5mm, white stitch. 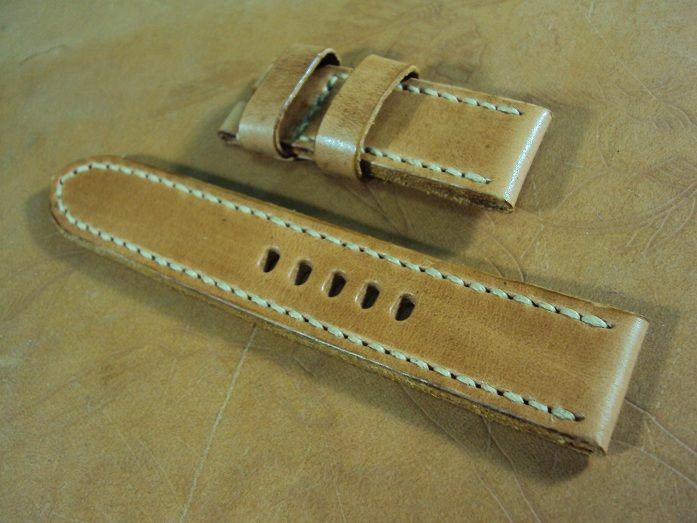 A2187 Panerai ultrasoft tan vintage leather strap, 22x22mm, 65x125mm, thick 4.0mm, cream stitch, raw edges. 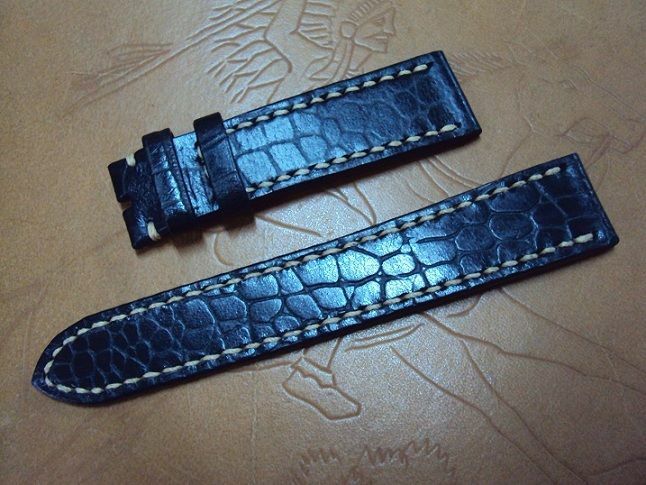 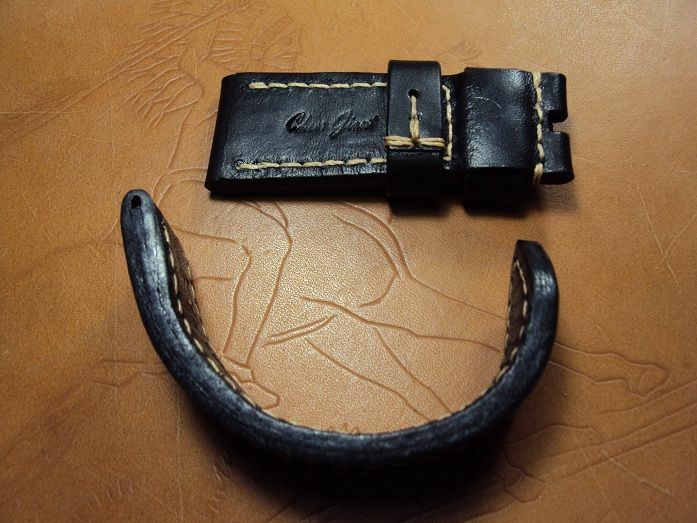 A2188 Panerai custom Bund style crococalf leather strap, 20x18mm, 75x115mm, thick 4.0mm taper to 2.5mm, black crococalf strap & Bund style crococalf leather pad, 36x140mm, thick 2.2mm. 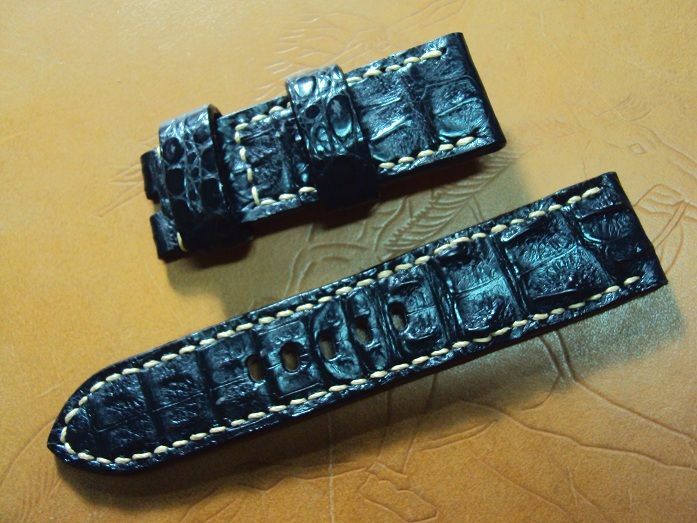 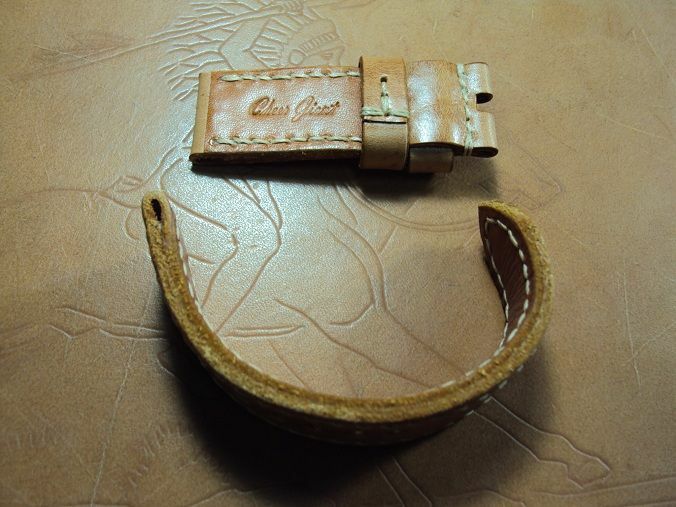 The bund style crococalf strap is priced at $ 170 USD, now charges the promotional price at $ 120 USD including registered airmail worldwide shipping. 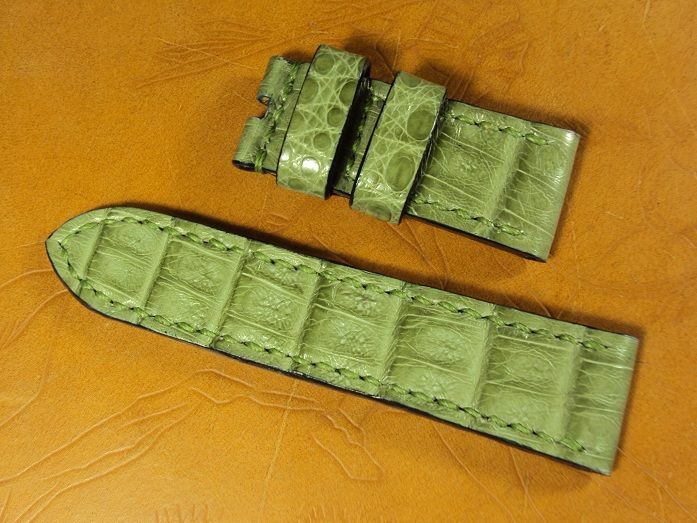 A2189 Panerai grayish green crocodile strap, 24x22mm, 60x110mm, thick 5.0mm taper to 3.5mm, match stitch. 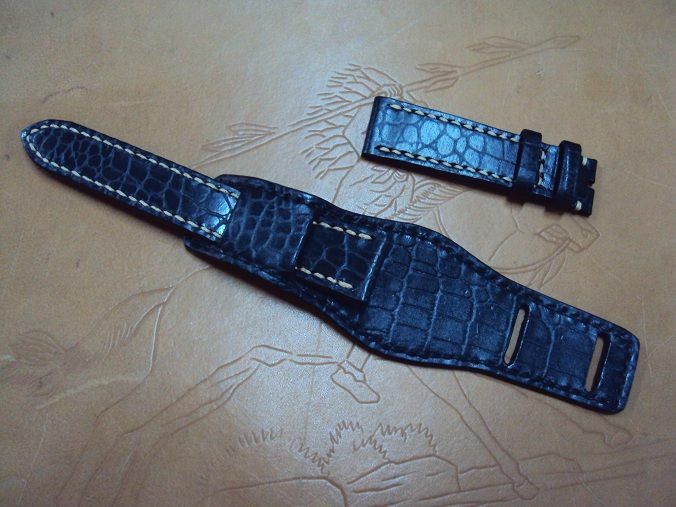 A2190 Panerai dark brown big horn crocodile strap, 24x22mm, 70x130mm, thick 6.0mm taper to 4.0mm, match stitch. 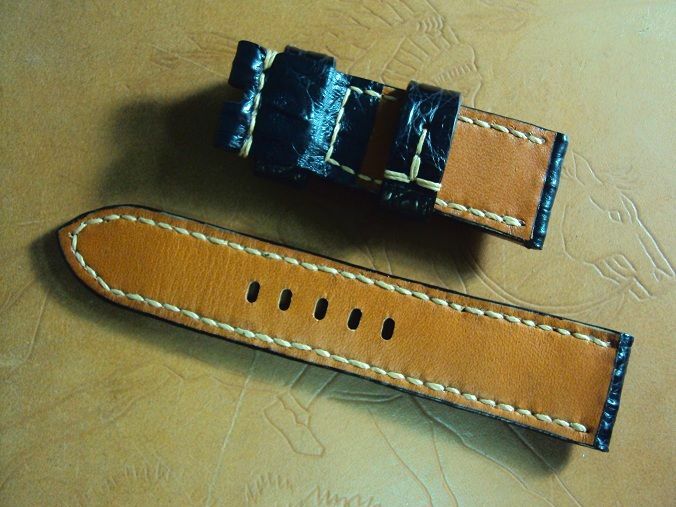 A2191 Panerai honey brown vintage leather strap, 26x24mm, 75x120mm, thick 6.0mm taper to 5.0mm, yellow stitch. 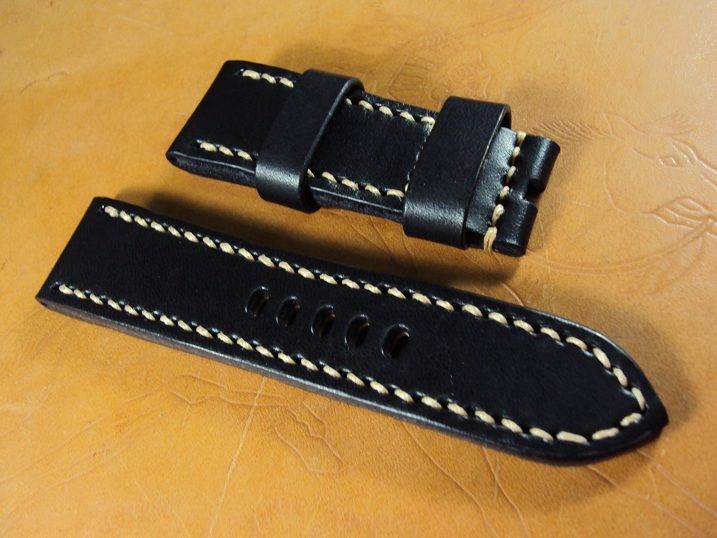 A2192 Panerai ultrasoft black vintage leather strap, 26x24mm, 75x120mm, thick 6.0mm taper to 5.0mm, cream stitch. 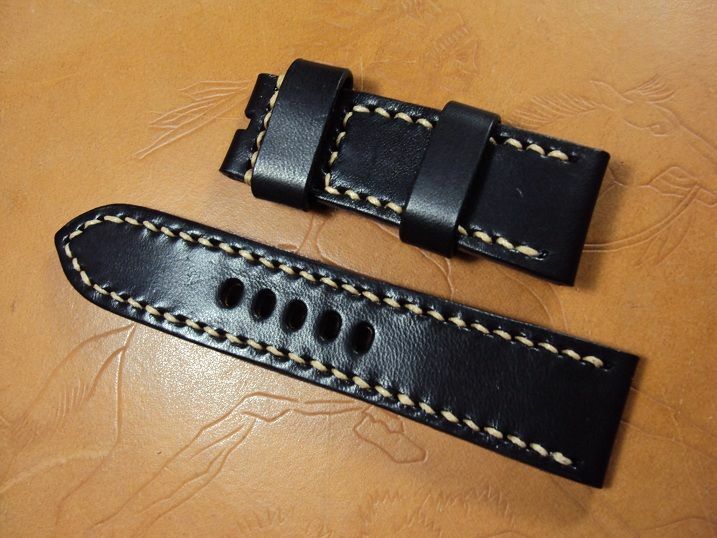 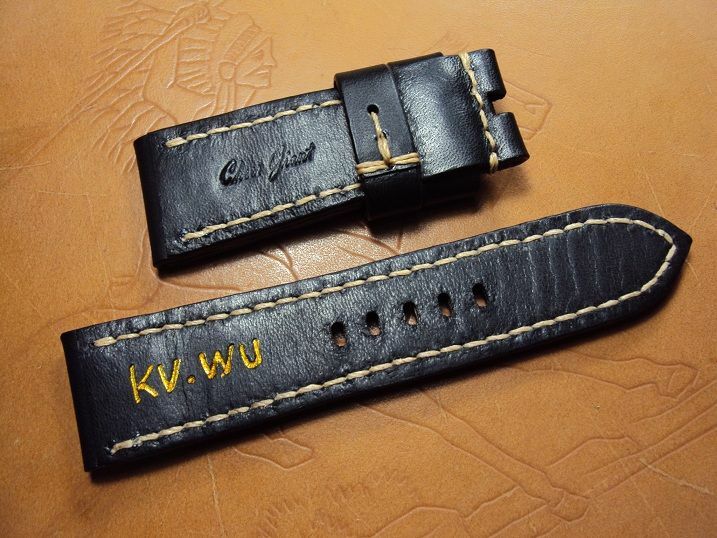 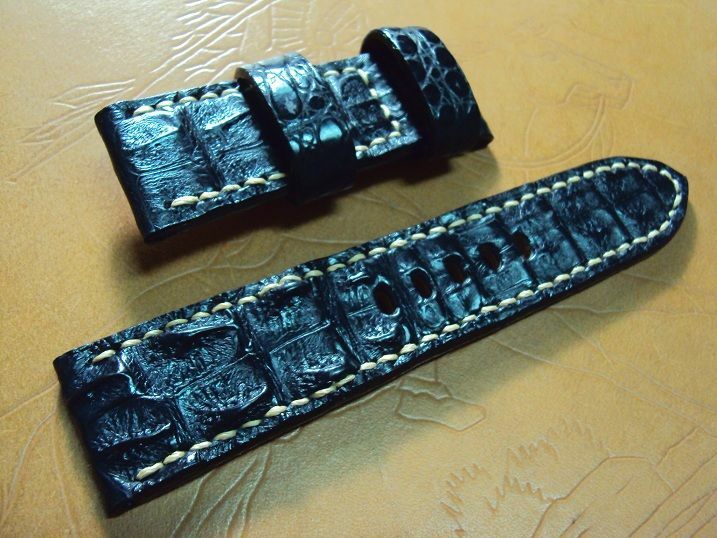 A2193 Panerai black big horn crocodile strap, 24x22mm, 70x120mm, cream stitch. 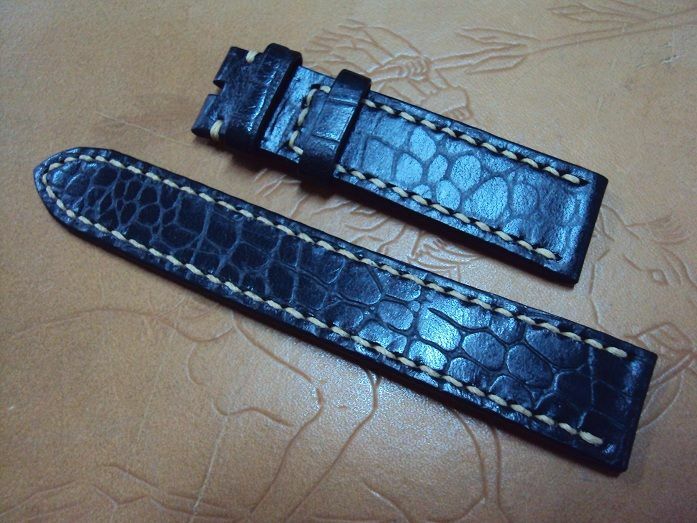 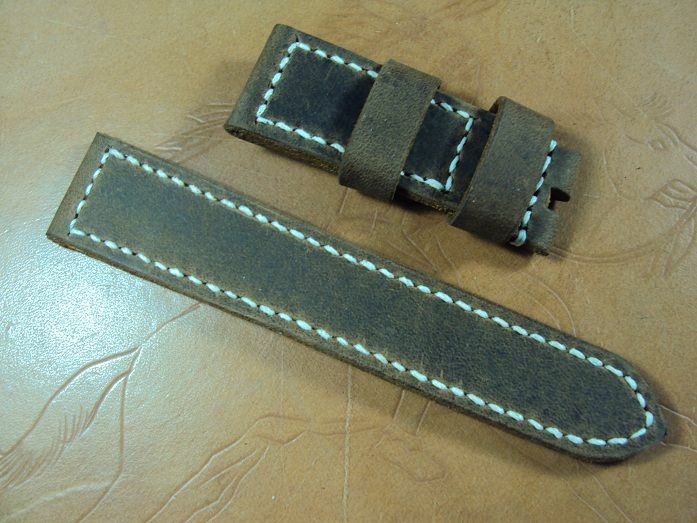 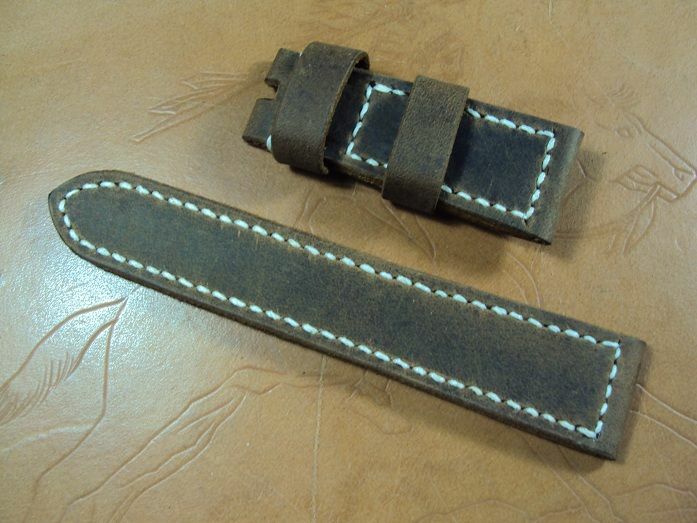 A2194 Panerai chocolate brown big horn crocodile strap, 24x22mm, 70x120mm, cream stitch. 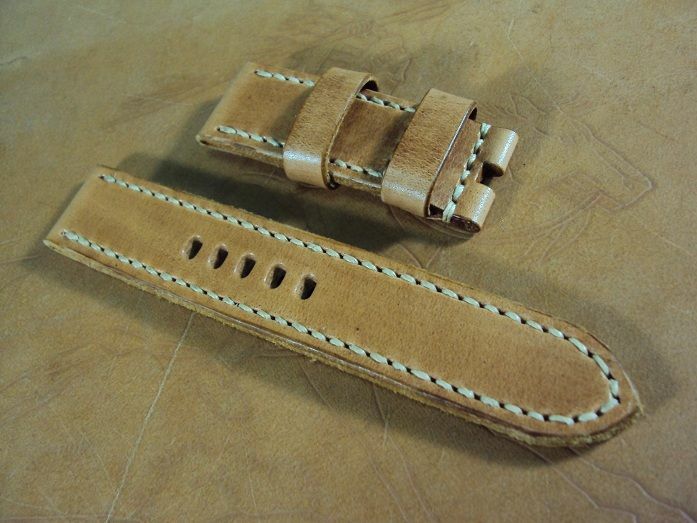 The ultrasoft cowskin of my watch straps are clean and spotless.